Provide comfort for the family of Normand Pitre with a meaningful gesture of sympathy. 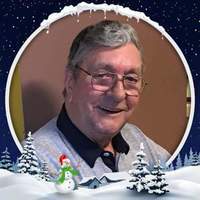 In loving memory of Normand Pitre who passed away Friday, January 25th, 2019 at Pioneer Manor at the age of 84. Loving husband of Fleurette Pitre of 53 years predeceased. Survived by his loving children Paul (Donna), Diane (John), Linda (Denis) and Nicole (Marc). Cherished grandfather of Laura (Gary), Bryan (Sue), Michelle (Marc-Andre), Celine (Geoff), Eric, Luc and Stephanie and great grandchildren Kyle, Ryan, Mykayla, Kendra, Tatyanna, Alyssa and Emerson. Sadly missed by his brother Gilles and many family members and friends. Predeceased by his parents Adolphe and Louisa Pitre. 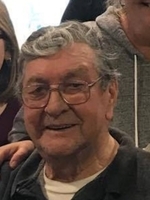 Memorial prayers will be held on Friday, February 22nd, 2019 at the Lougheed Funeral Home, 252 Regent Street, Sudbury at 11:30am. Friends may gather after 10:30am. Cremation at the Park Lawn Crematorium. Donations to the Alzheimer’s Society would be appreciated. To send flowers in memory of Normand Phillip Pitre, please visit our Heartfelt Sympathies Store. Consider providing a gift of comfort for the family of Normand Pitre by sending flowers. 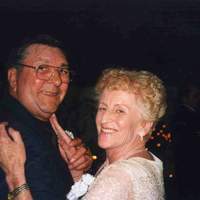 We encourage you to share your most beloved memories of Normand here, so that the family and other loved ones can always see it. You can upload cherished photographs, or share your favorite stories, and can even comment on those shared by others. Veuillez recevoir nos plus sincères condoléances. Toutes nos pensées sont avec vous en cette période de deuil.